The music of your youth seems to be one of those things that gets indelibly burned into your memory for life. 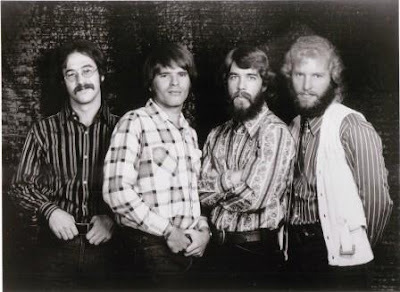 Creedence Clearwater Revival‘s string of albums from 1968 to ’70 were one of dominating sounds of radio well into the early seventies, and the fact that my parents owned all of their records made their music a constant presence. It’s a continuous run of hit singles matched by few bands of any era. Listening to the new 40th anniversary remasters was like taking a trip back in time, they sound amazing, with that same vibrancy that leapt off the vinyl of my parent’s stereo back then. From the epic Suzie Q in all it’s guitar solo glory from their first record, to the politically charged Fortunate Son, right on through to Have You Ever Seen The Rain from the underaprreciated Pendulum album, it’s all there in pristine remastered sonic glory. If you haven’t picked up any of these records on CD yet you’ll definitely want to grab these as they’re also expanded with bonus b-Sides and live tracks form the band’s heyday. Release Date is this Tuesday, September 30th. 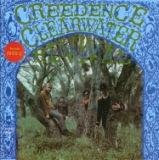 Creedence Clearwater Revival : This album included CCR’s first smash hit, the Dale Hawkins song “Suzie Q,” plus the classic cover of Screaming Jay Hawkins’ “I Put a Spell on You.” The reissue contains four bonus tracks: “Call it Pretending” (the B-side of the band’s first single), the band’s first recording of a cover of Bo Diddley’s “Before You Accuse Me” (later re-recorded for Cosmo’s Factory), a live version of “Ninety-Nine and a Half” recorded at the Fillmore Auditorium in 1969, and a full-length live version of “Suzie Q.” Almost famous former Rolling Stone editor Ben Fong-Torres wrote the notes. 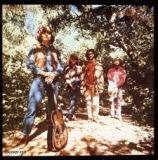 Bayou Country : Creedence Clearwater’s second album was chock full of hits and much-played album tracks: “Proud Mary,” “Born on the Bayou,” the Little Richard cover “Good Golly Miss Molly,” the seven-minute “Graveyard Train” and the eight-minute “Keep on Choogling.” The reissue also contains a longer alternate take of the album track “Bootleg,” live versions of “Born on the Bayou” and “Proud Mary,” and a psychedelic blues jam recorded live by San Francisco’s seminal KSAN-FM called “Crazy Otto.” Annotator was San Francisco Chronicle pop music editor Joel Selvin. Green River : Green River contained the hits and notable album tracks “Green River,” “Bad Moon Rising” and “Lodi” plus a cover of Ray Charles’ blues standard “Night Time is the Right Time.” Bonus material includes “Broken Spoke Shuffle,” the instrumental track to a song John Fogerty never finished, another unfinished track called “Glory Be,” plus three live tracks: “Bad Moon Rising” from the 1971 Berlin concert, “Green River/Suzie Q” from the 1971 Stockholm show, and “Lodi,” recorded in Hamburg. Liner notes by the esteemed critic Dave Marsh. Willy & the Poor Boys : Willy came out in 1969, when, as annotator Ed Ward writes, “a period when Creedence, surely the most anomalous band in the San Francisco explosion of the late ‘60s, was also proving its most commercial seller of them all.” The album contains the anthemic “Fortunate Son” along with “Down on the Corner” and a cover of the traditional folk song “The Midnight Special.” Bonus tracks include live versions of “Fortunate Son” and “It Came Out of the Sky,” plus an unreleased studio version of “Down on the Corner” recorded with Booker T & the MGs for a TV special at the band’s Berkeley rehearsal hall. The song features John Fogerty trading licks with guitar hero Steve Cropper. Cosmo’s Factory : Cosmo’s Factory was the fourth and biggest of the string of five Top 10 albums Creedence Clearwater Revival released in 1969 and 1970. Included were “Travelin’ Band,” “Lookin’ Out My Back Door,” “Who’ll Stop the Rain,” “Run Through the Jungle” and covers from Marvin Gaye (CCR’s signature take on “I Heard it Through the Grapevine”), Bo Diddley, Roy Orbison and Arthur “Big Boy” Crudup. Bonus material includes a bare bones, horns-free remake of “Travelin’ Band,” a live version of “Up Around the Bend” from the 1971 European tour, plus an unreleased version of “Born on the Bayou” emanating from the CCR/Booker T & the MGs summit which took place in 1970 at Cosmo’s Factory studio. Notes were penned by Robert Christgau. Pendulum : Creedence by this time was the top-selling rock band in the world, coming off seven consecutive Top 10 hits. The album contained the hits “Have You Ever Seen the Rain,” “Hey Tonight” and “Molina.” Bonus tracks include a live “Hey Tonight” plus “45 Revolutions Per Minute (Parts 1 & 2), the rarest of CCR collectibles, which was packaged in a plain white sleeve alluding to the Beatles’ White Album. Produced under the spell of the Fab Four’s “Revolution No. 9,” the tape montage tries to impart the elusive Creedence humor with the help of Bay Area DJ Tom Campbell. Joel Selvin wrote the liner notes.